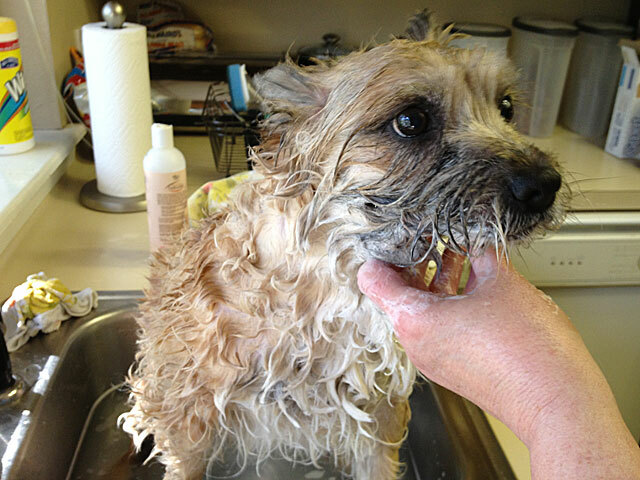 This entry was posted in Pets, Wordless Wednesday and tagged Dog, dog bath, doggie spa, grooming. Bookmark the permalink. I know how you feel! I recently posted the same. 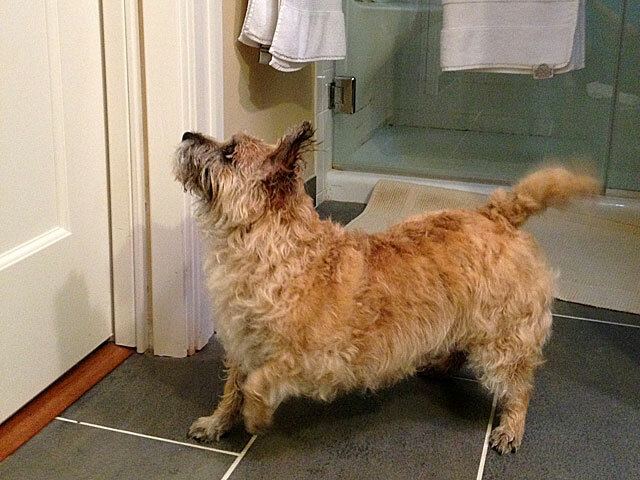 I get a bath every two weeks and sometimes more if 1 – I roll in a stinky spot (can’t get my head around that one) or 2 – I do a visit at a nursing home/hospital. So I get baths more often than I’d like. After the baths, I get my teeth brushed, and then I get my favorite blue nylabone. No ‘real’ treats for me. Perhaps I am going about this the wrong way…. WOOF WOOF. 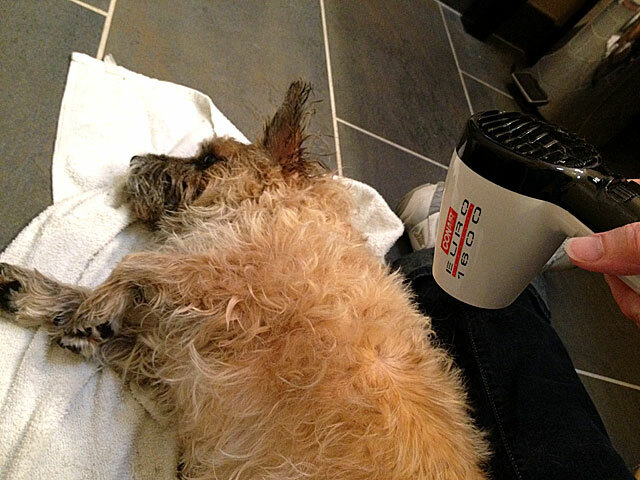 Henry sings (okay, more wines) during a bath and Reese sits like a little angel. They both tear around the house like the devil may care afterwards! Humans sure seem to LOVE spa days. What a sweetie… so adorable! I loved those pictures and you are looking so cool after those grooming session. You are so lucky to get such a spa treatment. I enjoy a bath, but there’s no way they could get me in the sink!